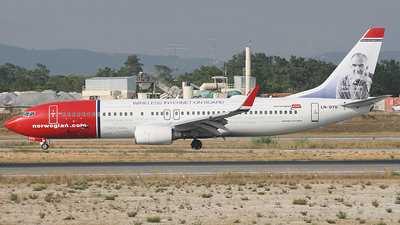 Note: Norwegian LN-DYU At OSL. 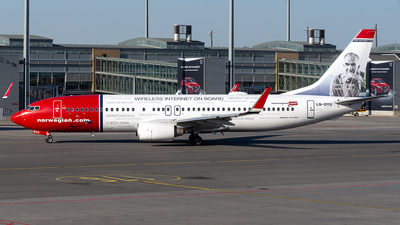 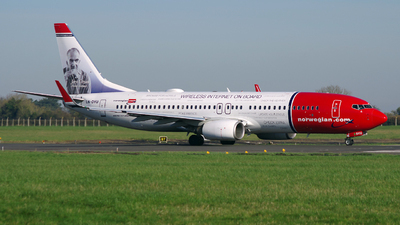 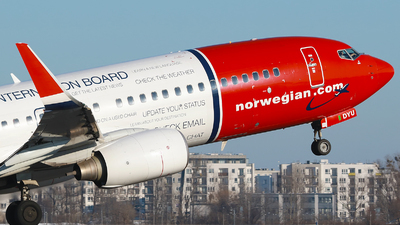 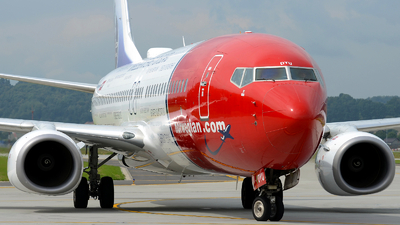 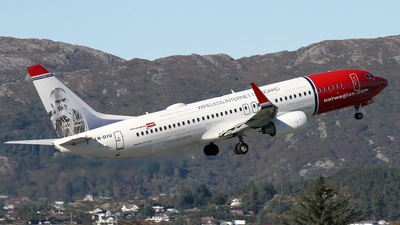 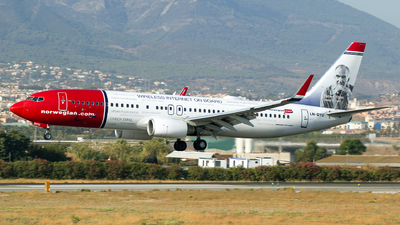 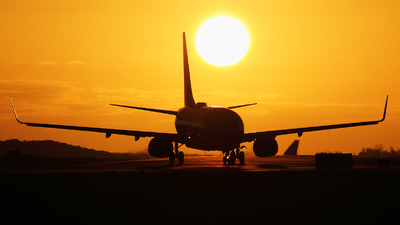 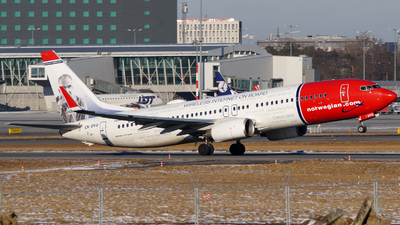 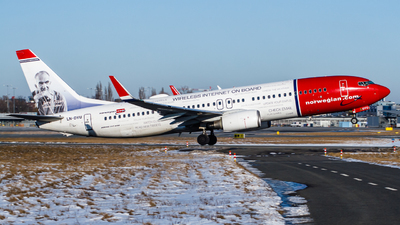 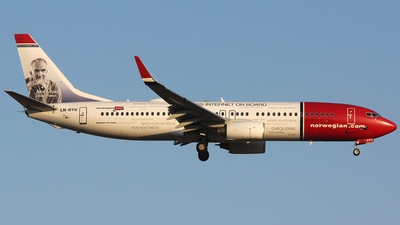 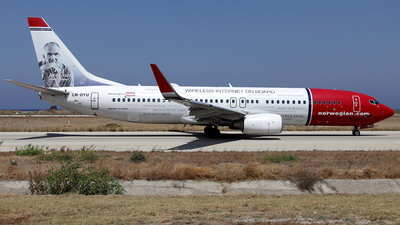 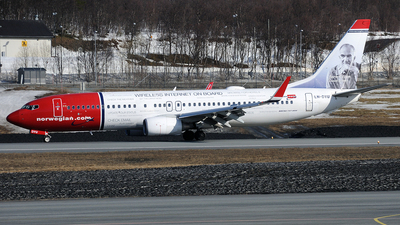 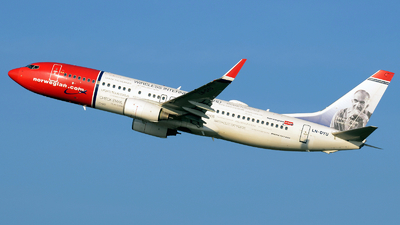 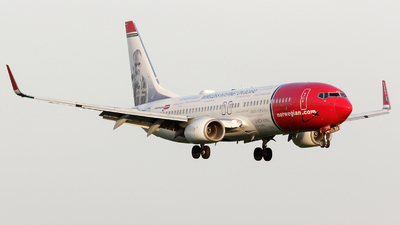 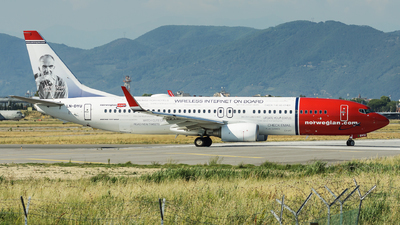 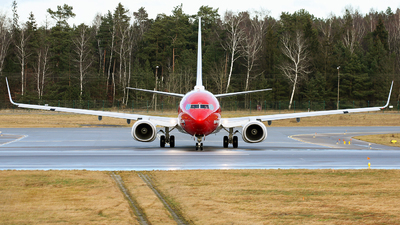 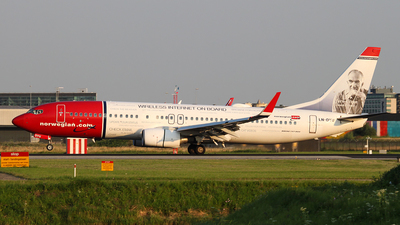 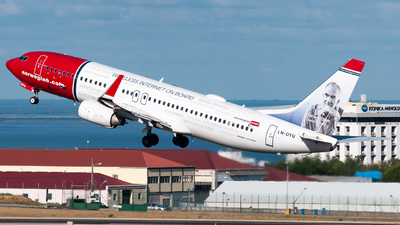 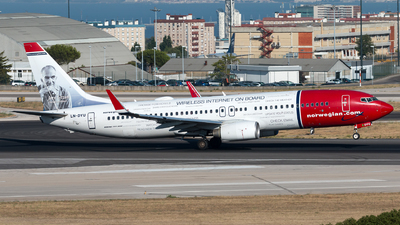 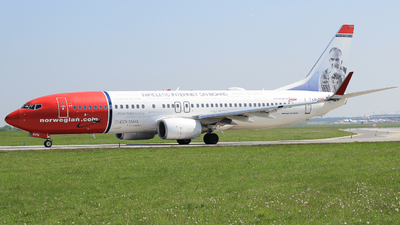 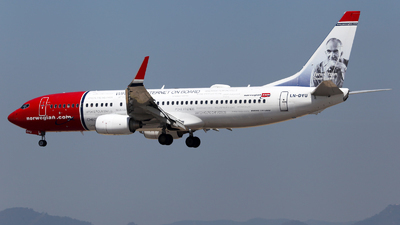 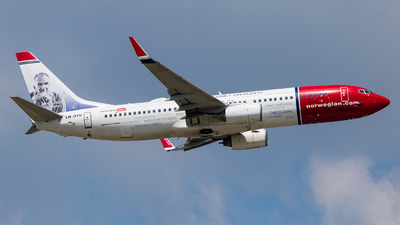 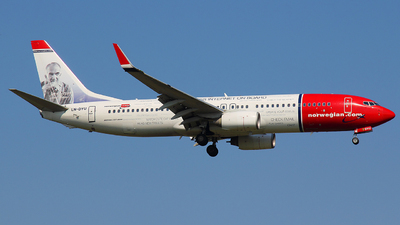 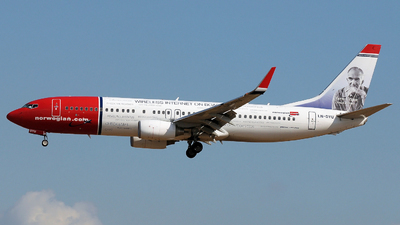 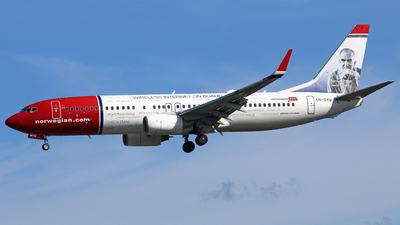 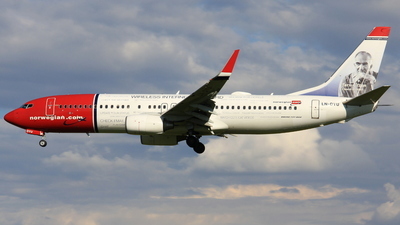 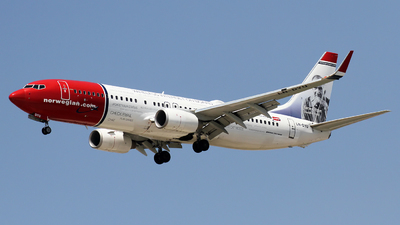 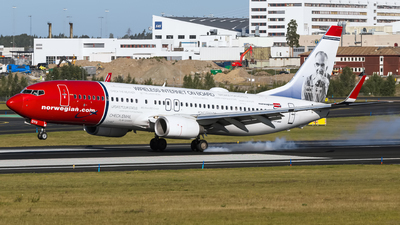 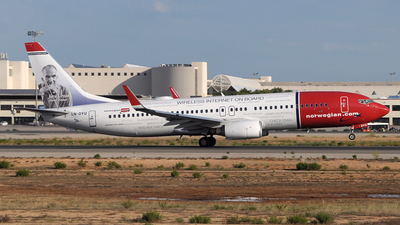 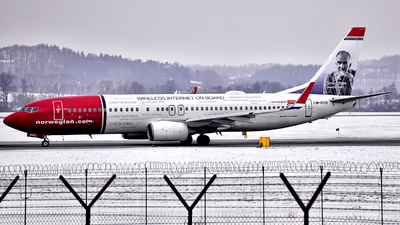 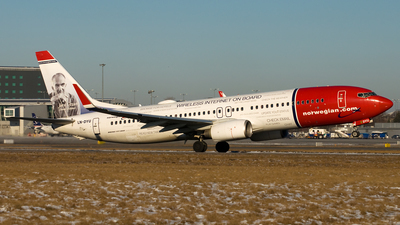 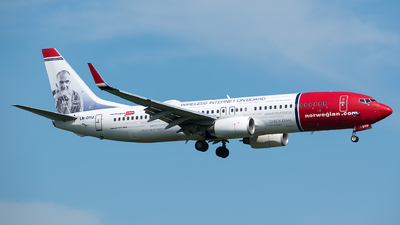 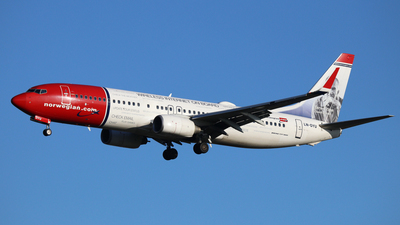 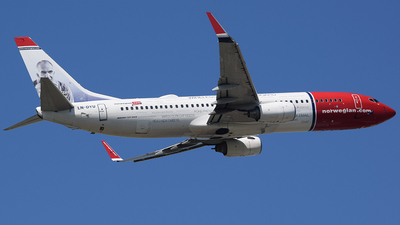 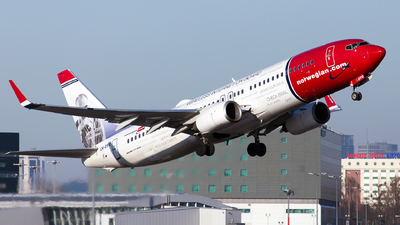 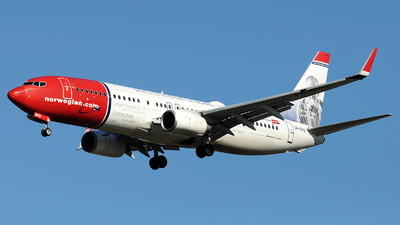 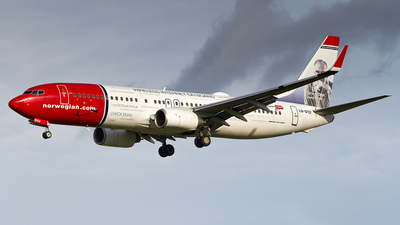 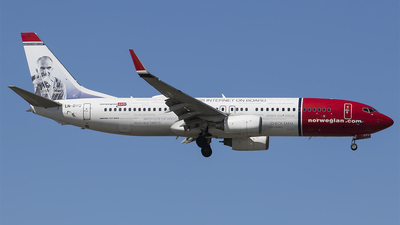 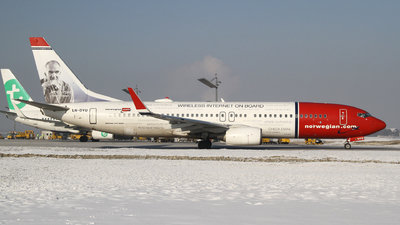 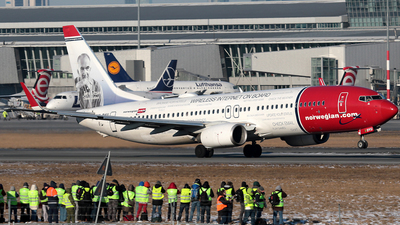 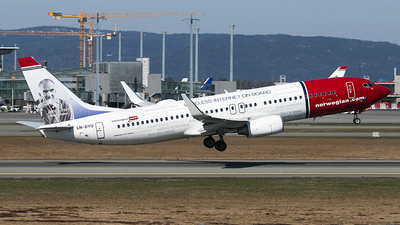 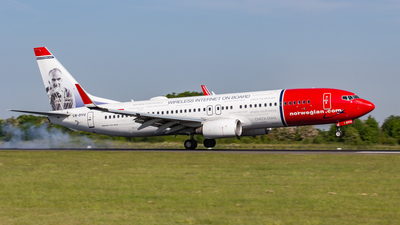 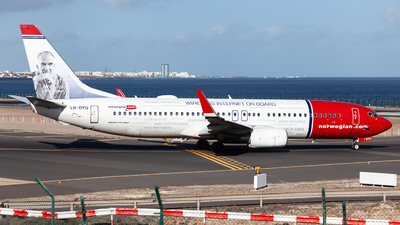 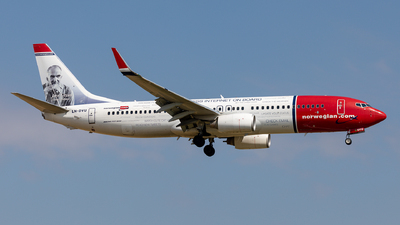 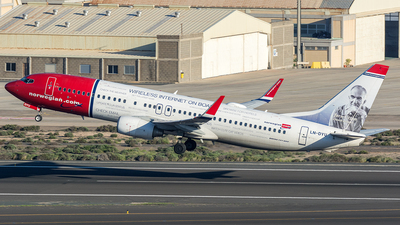 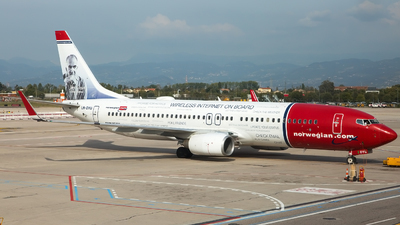 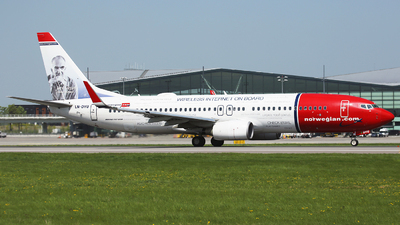 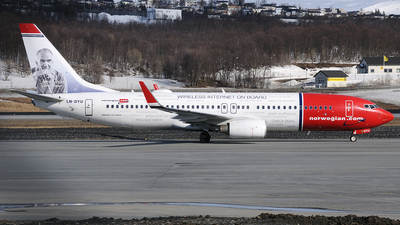 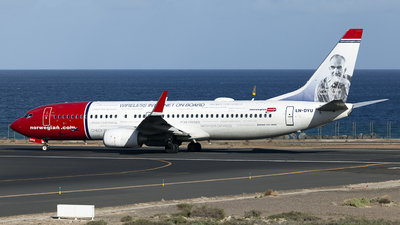 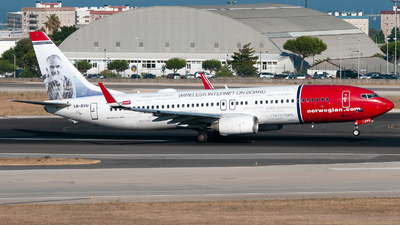 Note: This 737-800 of Norwegian is promoting the internet acces on board of its flights. 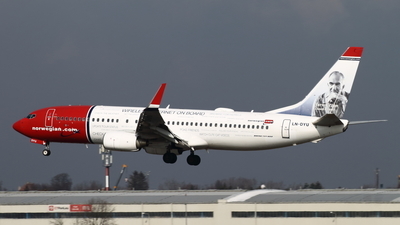 Flight DY4531 from Stockholm during its landing at the Kaagbaan (runway 06).